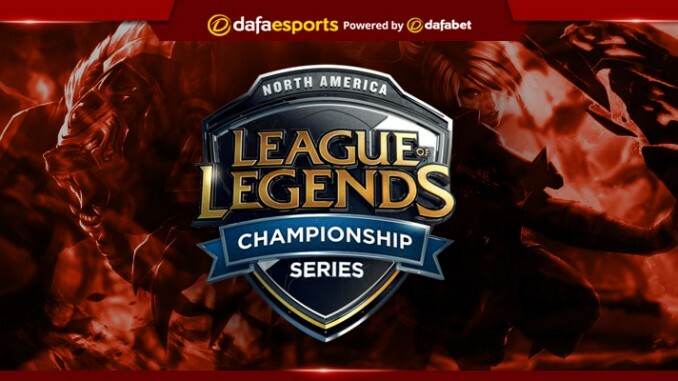 This year both the North America League of Legends Championship Series (NA LCS) and its European counterpart (EU LCS) were able to find more success at the World Championship than anticipated. Perhaps that was not a great surprise given the increased depth shown throughout their Spring and Summer seasons as a whole. The gap between the top teams and regions is narrowing and it would not be a shock to see a significant breakthrough in 2019 by teams from North America and Europe. The NA LCS entered the franchising era this year, with Team Liquid in particular taking full advantage. They assembled a super team, bringing in top players across the board and building primarily around the resource-intensive Doublelift. By the end of the year, Liquid had been able to sweep away the ‘forever 4th’ meme, that grew in popularity due to their continued ability to finish specifically 4th, with back-to-back championships showing their dedication. They even picked up Jensen from Cloud9 and CoreJJ from Gen.G for their roster moving forward into 2019. The most polarising team were Cloud9, who benched a majority of their players including Sneaky, Jensen and Smoothie with Keith, Goldenglue and Zeyzal coming in. Despite a massive struggle at the start of the Summer split, Cloud9 were not only able to rebound to finish 2nd, but they also went to the reach the semi-finals of Worlds. Cloud9 appear set up for the future, too, with young budding stars in Licorice and Zeyzal, who massively outperformed expectations during their time in the LCS this year. TSM were an obvious disappointment, despite the additions of European duo Zven and mithy, who were expected to take another key step forward. However, after swapping Junglers part way through with Grig in place of MikeYeung, TSM still only managed a 3rd-place finish in Summer after failing to make the last four in Spring. Subsequently they did not qualify for the Worlds. Since then TSM have made some changes, including losing mithy and Hauntzer, and they will enter 2019 desperate for a fresh start. Across the pond in Europe, where there was no franchising this year, Fnatic had similar results to that of Team Liquid, able to dominate in both Spring and Summer. There was a major shift for Fnatic late in the Spring season, with Bwipo seeing playing time over long-time veteran sOAZ due to a hand injury. Fnatic ended up with the best of both worlds, having two incredibly skilled and versatile Top-laners that they could shift in and out. Fnatic ended the year with clearly the best squad in Europe, having won both LCS splits and placed 2nd at the World Championship behind the LPL’s Invictus Gaming. Perhaps the most intriguing team to watch throughout the year were Team Vitality. Initially things looked great for this squad, but they stalled later in the Spring split. It yet again appeared to be the same old story, coming out of the gates on fire before an eventual end-of-split slide. However, Vitality made a fantastic addition in veteran Kikis, who replaced Gilius and helped create an incredibly aggressive early-game squad. Vitality saw some better success in Summer and they had a solid showing at Worlds, although they did end up failing to make the play-offs from a difficult group. The other team consistently fighting to match Fnatic all year long were G2 Esports, who ended up pulling off the upset of the year over the LPL’s RNG in the World Championship quarter-finals before falling to eventual champions IG in the semis. G2’s success was largely built on their Top side, with a potent trio of Wunder, Perkz and Jankos. Meanwhile, Hjarnan and Wadid were primarily put on mage-type champions that saw exceptionally more play in 2018 than previous years in the Bottom lane. Moving forward, G2 have pulled out all the stops for the LEC, the revamped version of the EU LCS with franchising, even nabbing Fnatic’s Caps while shifting star Mid-laner Perkz to the Bottom-lane role.